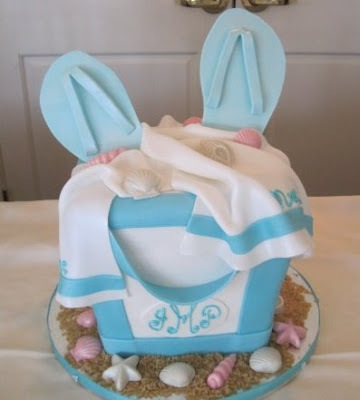 This sculpted cake was made for a bridal shower. The bride and groom will be eloping to a tropical location and the host wanted to reflect that in the cake. All details were edible and the cake came complete with monogram and shells. 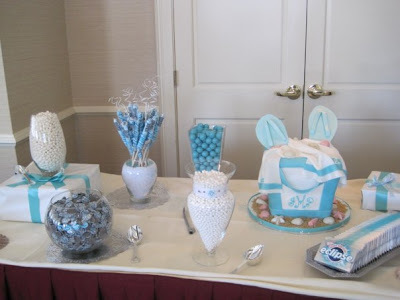 This picture shows the great candy table the hosts put together- how fun!